‘Tis the season for the wintery slump! January is just one of those BLAH months – there is nothing to look forward to, the weather takes a turn for the worse and we find ourselves wearing black day after day. Today I’m sharing a fun way to amp up your January wardrobe with the hottest trend this season – winter pastels. Adding that much needed pop of color will give your winter wardrobe the lift it needs! Topshop Corduroy Jumpsuit // In my own January slump, I spotted this Topshop Jumpsuit when searching for some pieces for my wardrobe pick me up! I DIED and went to 90’s heaven! 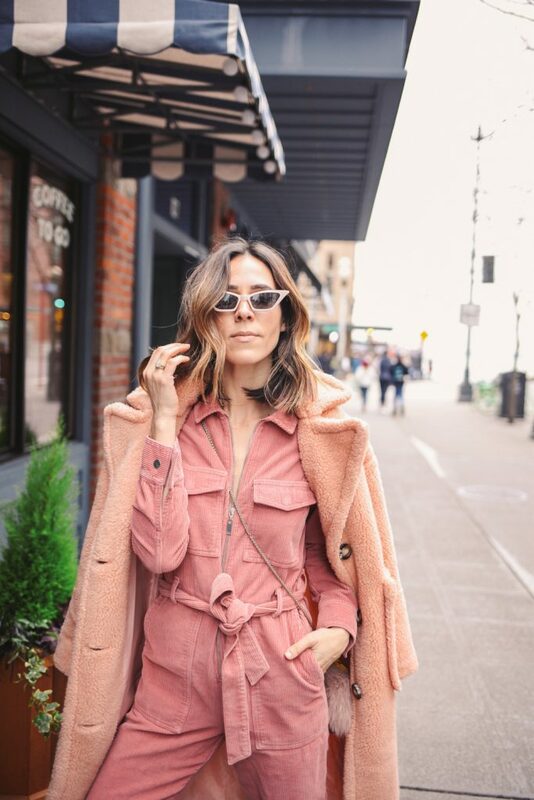 The hue is perfection and paired perfectly with this Pink Teddy Coat to create the monochromatic look of my dreams. The corduroy fabric allows it to be worn during the winter and spring months – not to mention it’s extremely cozy! This WILL get packed for my Japan trip in March for sure – it’s a great grab-n-go piece when traveling! Snakeskin Booties // Snakeskin is the new black this winter and spring! These gorgeous booties are on major sale right now, so be sure to scoop them up before they sell out! 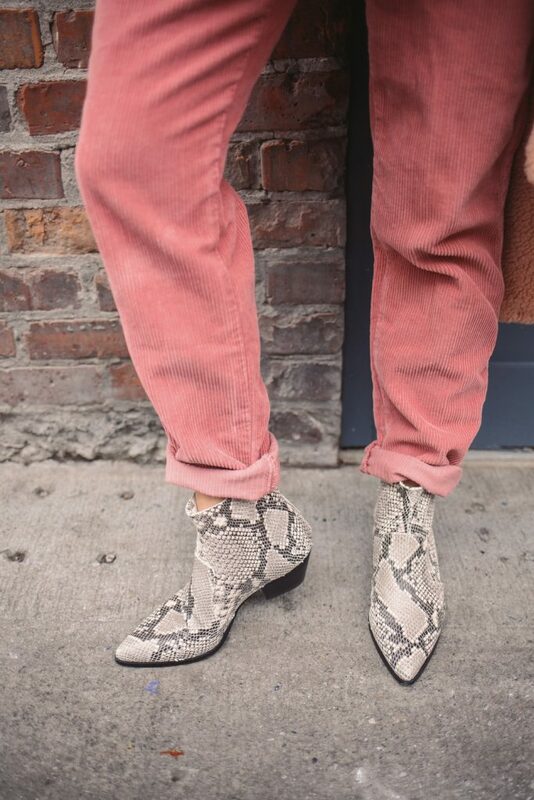 I love the balance that these snakeskin booties create with the major pink moment I’m having on top! For an extra pop of color I added this Furla Mini Tote – I bought this when in Italy a few years back and am so glad I went with this marigold! It pairs with nearly everything in my closet! Topping off this look with my go-to neutral sunnies this winter – these mini Cat Eye Sunglasses that are under $20! This look has inspired me to find more winter pastels pieces that can not only help your winter wardrobe, but can be great staples for your spring wardrobe! Shop all my favorites from the trend below – all pieces are under $200!